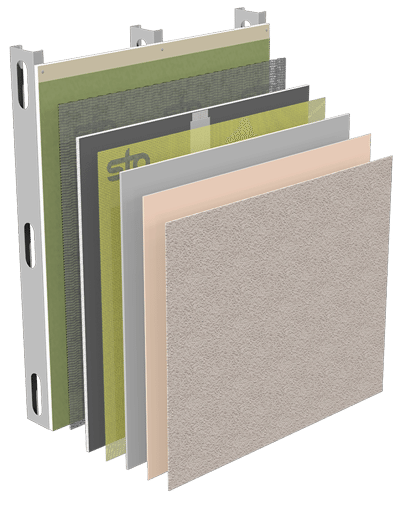 Cement Board Stucco Systems - Sto Corp.
High impact, moisture resistant exterior wall finish system incorporating a cement board substrate, air and moisture barrier, reinforced base coat and a polymer based finish. StoQuik® Silver Systems combine the strength of cement board, and the protection of Sto – without the complicated installation, labor steps and moisture exposure of traditional stucco. They integrate the moisture protection of an air and moisture barrier, draining and drying of a drainage mat, the impact resistance of a cement board substrate, and the versatile performance and design options of Sto’s textured finishes. Durable cement board stucco system with advanced cavity wall design. StoQuik® Silver DrainScreen™ is a high-impact and weather resistant cement board stucco system which provides excellent moisture protection for exterior vertical above grade walls in residential, low-rise commercial and institutional construction. 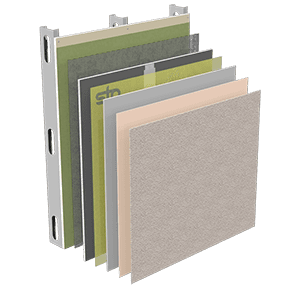 It combines the strength of cement board substrate with the advanced protection of Sto components: StoGuard® air and moisture barrier, Sto DrainScreen™ drainage mat, StoGuard® Mesh reinforced base coat and Sto textured finishes. Sto DrainScreen™ is a fibrous resin drainage mat that is placed between the cladding and the StoGuard® seamless air and moisture barrier system. Should water ever reach the back of the cladding, it can drain from the wall assembly via the drainage mat, which also helps speed the drying of moisture-laden air (water vapor) that can accumulate in the wall assembly. Advanced cavity wall design for water management. Cement board substrate for high impact resistance. Mesh reinforced base coat for crack resistance. 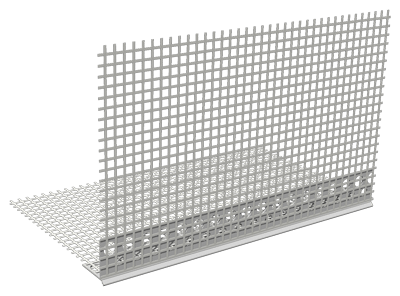 Sto Mesh Corner Bead Standard provides a solution to create true and straight corners which are resistant to chipping and cracking in StoQuik® Silver wall systems. 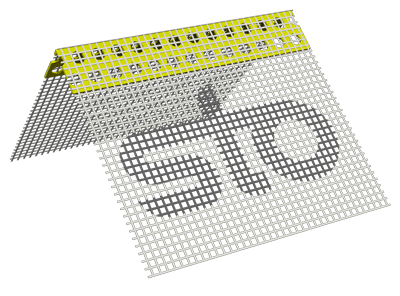 The Sto accessory is made of an angled strip of mesh (90° angle) reinforced with a plastic rail, providing a cost-effective and easy-to-apply alternative to the process of wrapping building corners with mesh reinforcement layers. Sto Mesh Corner Bead Standard is compatible with all Sto basecoat products and provides strength and protection against everyday knocks, enhancing the long-term durability of the façade. Sto Drip Edge Profile is a PVC accessory with integral reinforcing mesh that creates a drip edge and plaster return in StoQuik® Silver wall systems. Its intent is to control the direction of dripping water and help protect the building enclosure from moisture intrusion in vulnerable areas such as fascia returns, balcony undersides and other projecting building elements. Sto Drip Edge Profile is easy to apply. The accessory also provides additional crack resistance with its integral mesh reinforcement and helps achieve straighter, cleaner lines at plaster returns.